After a bout of walking pneumonia in April, I had laryngitis that loitered for 4 weeks. WebMD indicated I may need a tracheotomy so I made an doctor's appointment. Rabbit Sidebar: Have you seen the Tips from Former Smokers PSA series from the CDC? HOLY COW. QUIT SMOKING PEOPLE. The ear, nose & throat doc discovered a polyp on my vocal cord and prescribed 3 days of voice rest. She also suggested drinking more water. Apparently melted ice falls below the daily recommended intake. I cancelled weekend plans, picked out books and Netflix movies and planned to camp out at home through the ordeal. 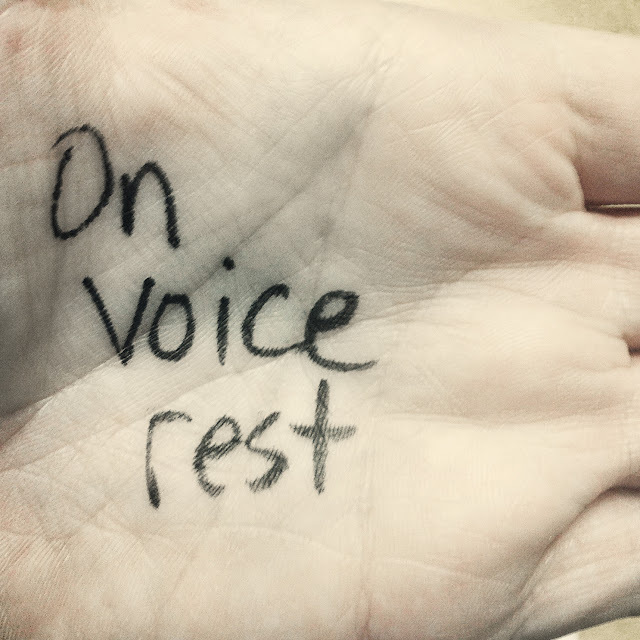 Sixty hours of my voice rest would be spent either asleep or alone. I thought "No biggie." I talked. A lot. To myself. I talked to myself while making coffee, watering plants, doing laundry, filing my nails, answering email, watching television, working out, baking. 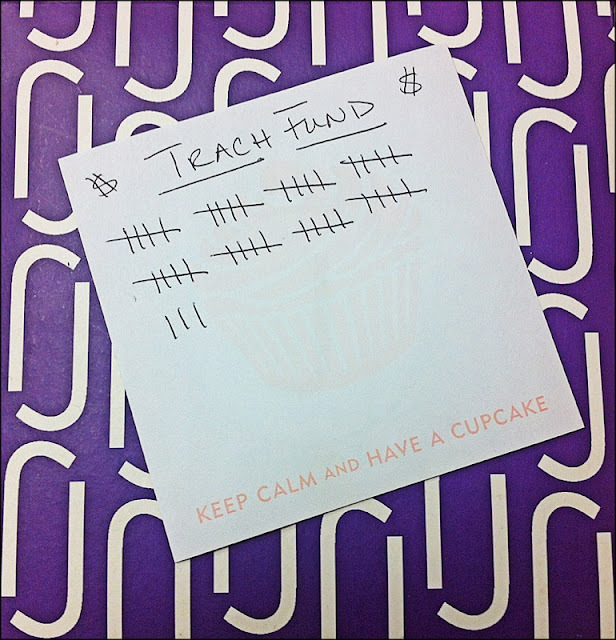 I noticed it after a couple of slip-ups and decided I'd start a Trach Fund. A hatch mark for every time I spoke. A dollar for every hatch mark. I made burger cake pops. I texted a pic to my bestie Kara. Except my smile emoticon was just a symbol for what I actually said out loud. "They DO look like krabby patties. That's what Amanda at work said too. Maybe I should make Sponge Bob cake pops. I'd really need to make Mr. Krabs too for them to make sense. But how would I make his eyes? Patrick would be easy. He's just a star. Maybe I should make stars. And a sun and a moon. Isn't there an eclipse coming? I hope I can photograph it. I need to charge my camera. Where's my charger?" When ADD meets chatterboxing meets living alone meets throat surgery. Are you chatty? Do you talk to yourself? Do you know how to make Mr. Krabs' ears?